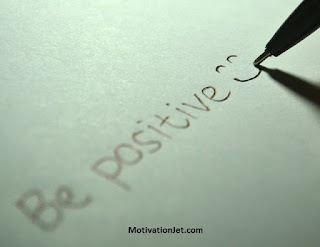 Home / Positive Thinking / 3 practical tips to transform Negative Thoughts into Positive Thinking. 3 practical tips to transform Negative Thoughts into Positive Thinking. Thoughts are the most powerful ingredient to make a life better or worse. Always thinking about the positivity is not possible for you. Sometimes negative mindset and attitude will destroy your self-confidence and can kill the self-esteem. How you deal with the critical phase of life is the key to decide what and how you are going to achieve in life. Negative mindset is the graveyard of your dreams, aspirations and ambitions. Success is an art and to succeed you have to develop an ability to think positively irrespective of the circumstances. In this post, I am going to share some practical tactics with you to convert negative thoughts into constructive thinking. 1.Recognize the cause of negative thinking. There is a reason behind the everything, good or bad. What is the reason for your pessimistic attitude? Why and when you feel negative? Try to find the answer to this two realistic question and you will solve the biggest problem of your life. Certainly, there will be some situations in which you will be unable to focus on your ability and strength. Sometimes, negative people around you will try to inject negative bits in your mind, avoid such people and feel the joy of positive thinking. 2.Always think about the possibilities. You work hard to get the desired result, you work hard to succeed, you work hard to accomplish the goal, but sometimes you fail to produce the great results and that is the reason for negative thinking. You have to change your mental attitude to see the hidden prospects of failure and problem. If you can look at the brighter side of the picture, every failure is a possibility of doing something big and great. This will eliminate the negative thoughts and fill you with the positive energy. A positive attitude is an essential element to attain the highest level of success. Reading is a good habit which can transform your whole life. Reading of good books, inspirational short stories, motivational quotes, and success stories are the best source of motivation and the enemy of negative thoughts. You can also visit any motivational blog or website like this and can go through the inspirational articles to get inspired. Ultimately, positive thoughts will insert into your mind and the attack of negative thoughts will lower down. Try to spread positivity around you and feel the joy of happy and prosperous thinking.